> There must be some funny caption for this! "do these cables clash with my safety vest?" 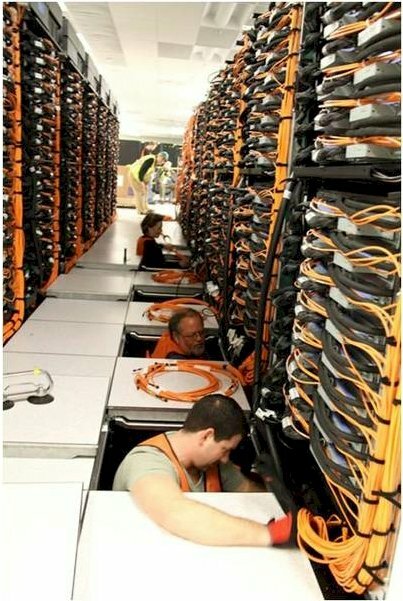 "as you can see, your DC TCO will improve once you hire cabling gnomes." "down here is where we store the pron." "since this cluster will melt the polar icecaps, it's built on stilts!" > As an aside, are those very deep false floors? that was chosen, but I also can't think of any reason why not. no raised floor, but sealed H/C aisles fed by separate sets of ducts? with a single row of racks?